No longer monopolized by the construction trade, concrete has come into its own as a decorative medium. spurs the evolution with its second generation of Kast Canvas, a family of sinks enlivened by textural surface detail. Moving beyond the subtlety of the first edition, patterns in the new collection are more highly defined, practically sculptural, inviting an understated interaction between light and shadow. 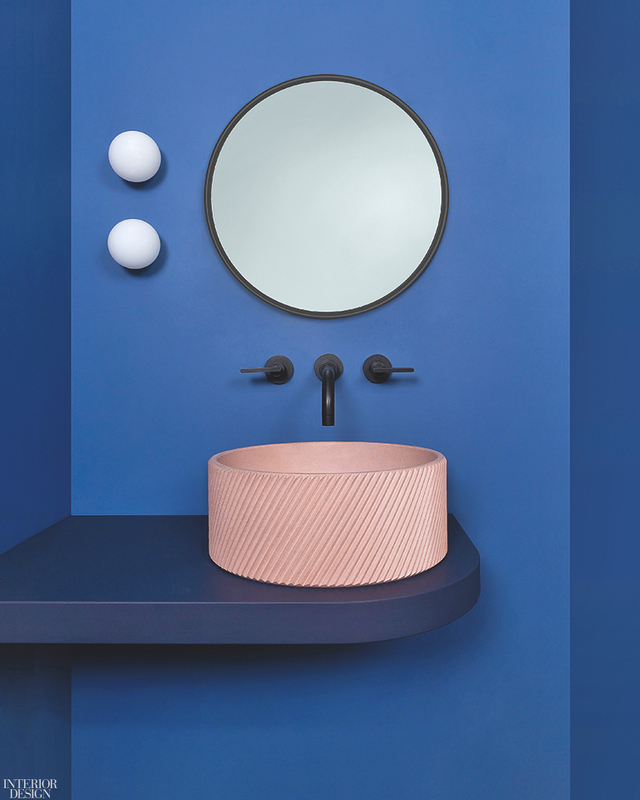 Among the newcomers: Otto, a counter-mounted basin encircled by diagonal ribs. Like the manufacturer’s entire assortment, it’s available in 28 tints, including Blush. Otto in Blush from the Kast Canvas collection by Kast Concrete Basins. Photography courtesy of Kast Concrete Basins.